When it’s time to retire there are many options for housing. Of course you can just stay where you are, but that may not be realistic for some people. The current home may be too large, too old, too hard to maintain, too expensive or too far away from support systems that could be needed when aging. Many retirees begin to evaluate their options as they grow older. Do they want to be somewhere warmer, somewhere safer, somewhere more convenient, or in a community where their needs can be better met and there are numerous activities? Some seniors want to stay in their own home but travel to a warmer climate in the winter. People 55 years of age or older (age qualified) will find a number of housing options to meet their needs. Retirement housing possibilities range from condos, and homes in gated adult communities to subsidized government housing, senior rental apartments and 55+ mobile and manufactured home parks. The choice will depend on an individual’s income, health, and personal preferences. Retirement is a time to let loose, relax, and have some fun. You’ve earned it! Do all of those things you’ve been putting off until you had more time. Travel, read, golf, indulge in a hobby, spend more time with grandchildren or simply pamper yourself. 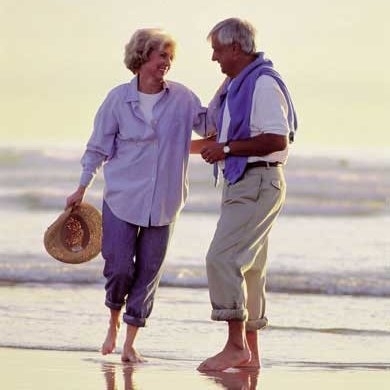 Whatever the retirement goals may be, there is a lifestyle to accommodate them. Most retirement housing is geared towards staying healthy, having fun and enjoying life with like-minded people of a similar age. The types of activities and facilities available may include swimming pools, card groups, libraries, golf courses, bowling, sewing, crafts, restaurants, excursions, theatre, entertainment, pot luck dinners, holiday parties, etc. Residents are encouraged to attend as many or as few as they like. There are often groups that welcome new residents, people who keep track of those who are ill and send get well cards, committees that plan parties, and those who visit shut ins. The whole goal of retirement communities is to offer programs that meet the needs of their residents. They often offer health screenings, safety lectures, educational opportunities and community activities. They may sponsor flea markets, movies, dinners and dances. The fun never ends and now you will have time to enjoy it!